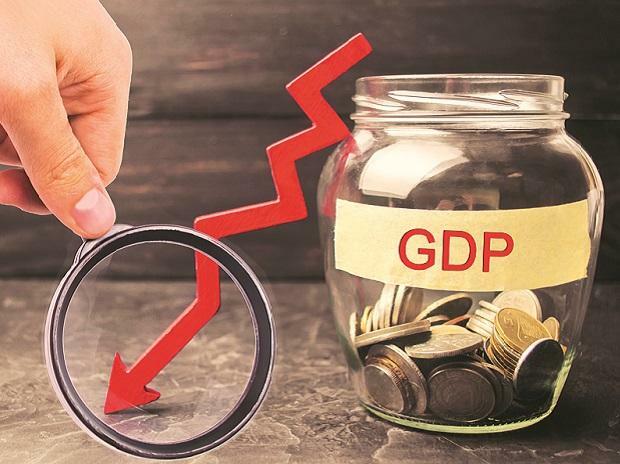 Growth in gross domestic product (GDP) slowed to a six-quarter low of 6.6 per cent in the third quarter (Q3) of 2018-19 (FY19) due to subdued expansion in agriculture, manufacturing, and government expenditure, the data released by the Central Statistics Office (CSO) shows. Investment activity, however, continued to grow at a healthy pace. The CSO lowered estimate of economic growth for Q1 and Q2 of FY19 to 8 per cent and 7 per cent, respectively, from 8.2 per cent and 7.1 per cent, respectively. As a result, the forecast for the full-year growth has been revised downwards to the lowest in the Narendra Modi-led government at 7 per cent in FY19. Because of high growth in Q1, manufacturing is projected to show higher growth this year compared to the previous year. These numbers suggest the CSO expects the economy to grow marginally lower at 6.5 per cent in Q4. 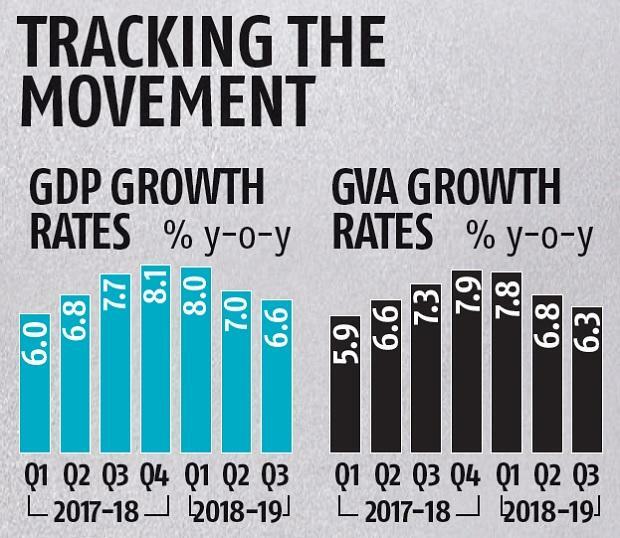 “FY19 GDP growth at 7 per cent is lowest in the past five years, and Q3 growth at 6.6 per cent is at sixth-quarter low. This indicates the economy is losing steam,” said Devendra Pant, chief economist at India Ratings. Economists expect the RBI’s monetary policy committee to further cut the repo rate to boost growth. “The lower growth in GDP could prompt the RBI to lower interest rates as economic growth has been cited as a concern. This would, however, be contingent on the inflation reading for the coming months. We lowered our GDP estimate for the year from 7.4 per cent to 6.9 per cent,” CARE Ratings said. Sector-wise break up shows that growth of gross value added (GVA) by agriculture, forestry and fishing slowed to 2.7 per cent in Q3, down from 4.2 per cent in Q2. At current prices, the sector grew by a mere 2 per cent in Q3, down from 3.4 per cent in Q2. This reflected farmers' distress. “Agriculture has seen a decline in growth rates in Q3 which can be attributed to the unfavorable weather condition/uneven rainfall,” CARE Ratings said. The CSO now expects the sector to grow at 2.7 per cent for the full year, down from 5 per cent in FY18. Manufacturing activity slowed down considerably over the course of the year with GVA estimated to have grown by 6.7 per cent in Q3, down from 12.4 per cent in Q1. It had grown by 6.9 per cent in Q2. “The manufacturing sector will have to grow at 6.8 per cent on top of high growth of Q4 FY18 also appears to be difficult to achieve,” Pant said. However, for the full year, manufacturing is expected to grow at 8.1 per cent in FY19, up from 5.9 per cent in FY18, aided by higher growth in Q1. The construction sector continued to show signs of an upswing, growing at 9.6 per cent in Q3, up from 8.5 per cent in Q2. The CSO pegged the sector’s full-year growth at 8.9 per cent, up from 5.6 per cent the year before, on the back of infrastructure spending push by the government. On the services side, GVA by public administration, defence and other services, which are largely government spending, grew by 7.6 per cent in Q3, down from 8.7 per cent in Q2. Growth for the full-year is pegged at 8.5 per cent in FY19, down from 11.9 per cent in FY18. Segments such as trade, hotels, transport, communication and services and financial, real estate, and professional services grew at almost the pace same as the last quarter. Though for the full year, financial, real estate and professional services are expected to grow at 7.3 per cent, up from 6.2 per cent in FY18. Trade, hotels, transport, communication and services slowed down to 6.8 per cent, down from 7.8 per cent in FY18. On the expenditure side, private final consumption expenditure, denoting demand in the economy, grew at 8.4 per cent in Q3, down from 9.8 per cent in Q2. However, investment activity continued to remain robust with gross fixed capital formation growing at 10.6 per cent in Q3, marginally higher than 10.2 per cent in Q2. For the full year, CSO expects investments to grow at 10 per cent, up from 9.3 per cent the year before. 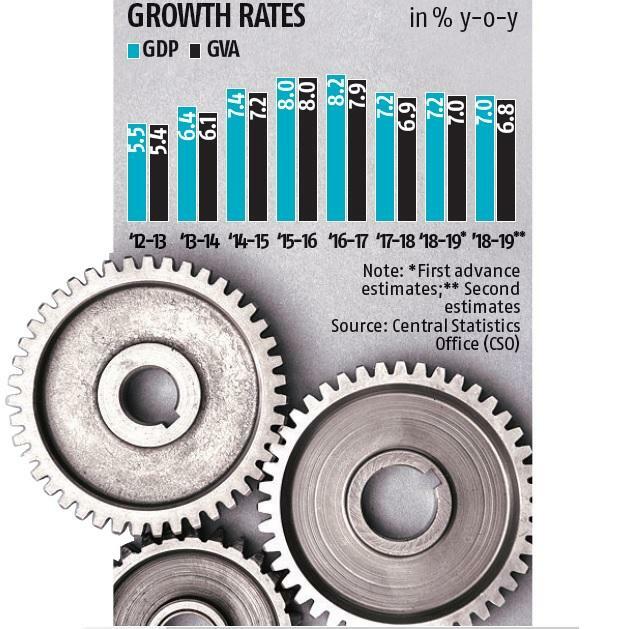 To achieve this, fixed investment will have to grow at 7.7 per cent in Q4. This will not be easy with government capital expenditure contracting from September 2018 to January 2019, Pant said.